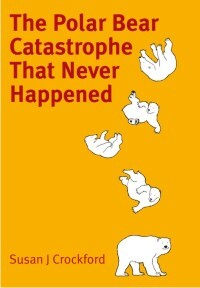 The activist lawyer primarily responsible for polar bears being listed as ‘threatened’ on the US Endangered Species List (ESA) in 2008 is frustrated that those efforts have not generated her preferred political action. Kassie Siegel also claims in another 10 years it will be too late to save polar bears from extinction — despite clear evidence to the contrary. In an emotional rant over at The Hill with a predictably hysterical headline, Siegel perhaps reveals more than she should about her motivation (“Keeping fossil fuels in the ground is the only way to save polar bears ravaged by climate change,” 26 May 2018). With a few big guns on one side and some fringe folk on the other, a dichotomy of opinion has developed amongst polar bear researchers regarding whether or not consumption of land-based foods is making a difference to polar bear survival (or is likely to in the future). It’s been going on for a while now. Last year, two US Geological Survey members of the IUCN Polar Bear Specialist Group (PBSG) apparently got fed up with the scatter-shot of papers promoting terrestrial foods as a possible salvation for polar bears (e.g. Iles et al. 2013; Iverson et al. 2014; Rockwell and Gormezano 2013a, 2013b). In April, they published a canon volley of a paper meant to blow all that ‘polar-bears-might-survive’ talk out of the water once and for all (Rode et al. 2015). Note that although the PBSG didn’t bother to update their website with the IUCN Red List assessment when it came out last November, they had a link up to the USGS terrestrial feeding paper within 16 days (with an editorial summary in the “NEWS” section as well as a listing of the paper in the “RECOMMENDED READING” section). As I suggest below, this difference in treatment may not be a coincidence. 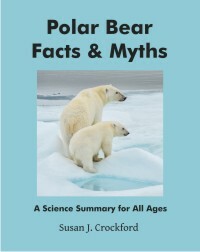 Want to know how a changing climate is affecting polar bears? Look at what they’re eating. Apparently, Jeff Welker, a University of Alaska Anchorage researcher who is co-author on two recent papers on the subject of polar bear consumption of terrestrial foods (Tartu et al. 2016 and Rogers et al. 2015), gave a presentation at the conference that raised this topic yet again. His talk came on the heels of an earlier presentation by Todd Atwood, who suggested Southern Beaufort polar bears might benefit from staying onshore to eat left-over whale scraps instead of staying on the sea ice during the summer (even though he had no data to support that opinion – as I discussed in this post). Rajendra Pachauri, who led the Intergovernmental Panel on Climate Change (IPCC) since 2002, resigned today. He faces possible arrest on accusations of sexual assault, stalking, and harassment of several female employees. You might be as appalled as I was to read the statement above, quoted from Pachauri’s resignation letter — which has nothing to do with the allegations and everything to do with his attitude to science and thus his leadership of the IPCC. “Yes, the IPCC – which we’re told to take seriously because it is a scientific body producing scientific reports – has, in fact, been led by an environmentalist on a mission. By someone for whom protecting the planet is a religious calling. 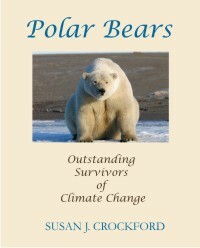 The IUCN Polar Bear Specialist Group and conservation organizations like Polar Bears International routinely tout the IPCC as the highest arbiter of science on issues of present and future climate. For 13 long years this man has been their leader. Read the rest of Donna’s commentary here, and the Pachauri resignation letter here.